ALGIERS – Algerian President Abdelaziz Bouteflika has pulled out of the race for the presidency and postponed the elections following weeks of protest against his plan to seek a fifth term in office. The 82-year-old returned to his country from Switzerland on Sunday where thousands have been staging protests to demand that he drops his bid for another term. No new date has been set for the North African country’s elections which were scheduled for April 18. Teachers and students across Algeria had gone on strike, joined by many business persons and locals in the major cities. 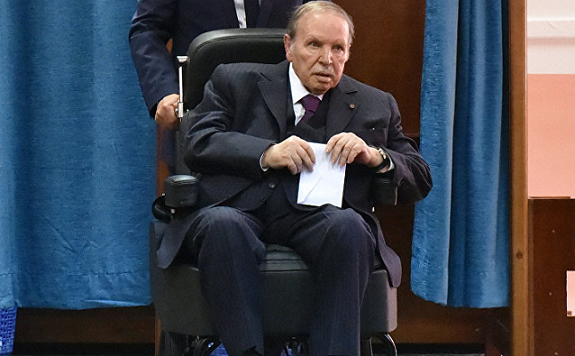 Bouteflika has ruled Algeria for 20 years but has rarely been seen in public since he suffered a stroke in 2013.